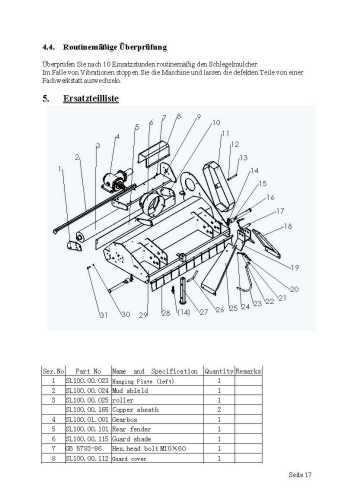 1.390,00 EUR 19 % VAT incl. 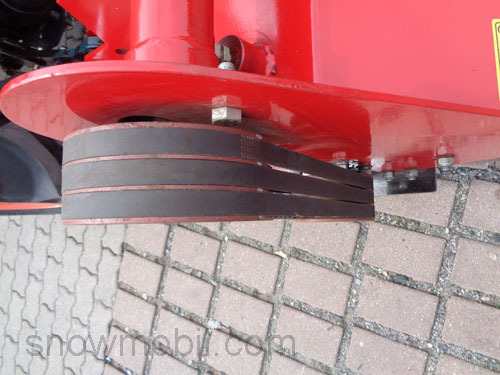 The connection bolts can be turned (KAT1 or KAT2). 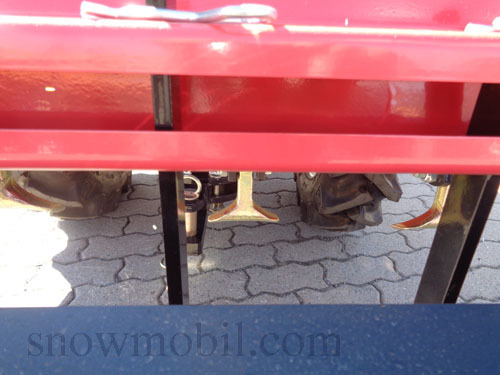 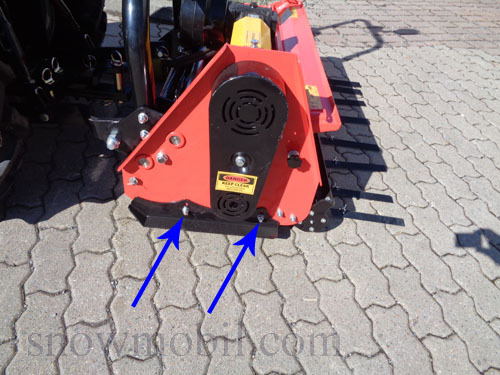 The tearing knives are three times height adjustable and are inserted from above into the housing. 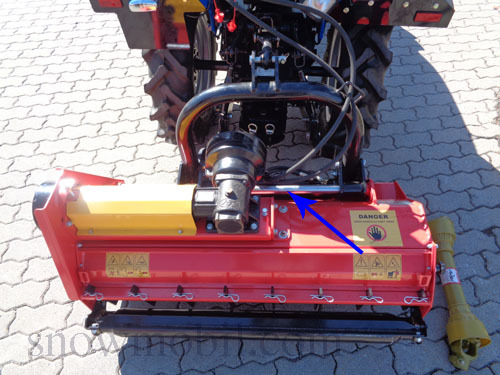 The folded-up service flap provides access to the flail shaft, making it even easier to change the mallets and perform maintenance. 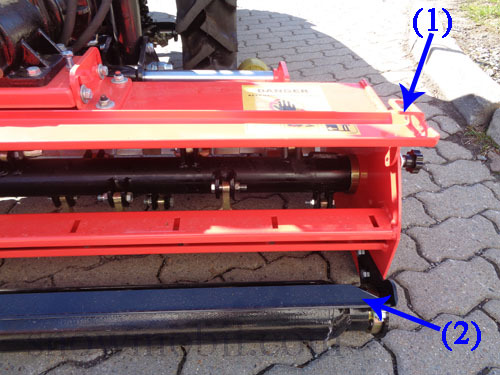 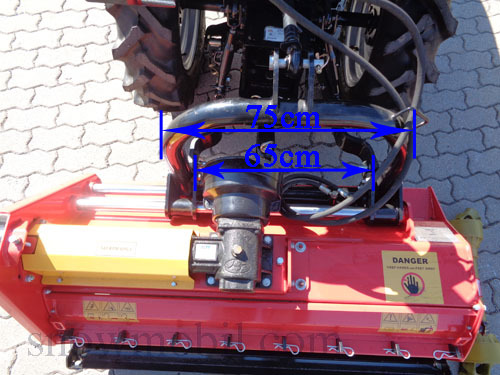 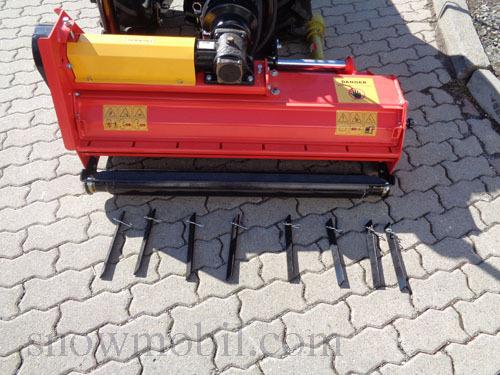 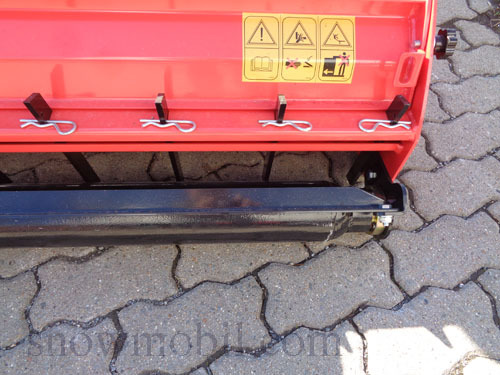 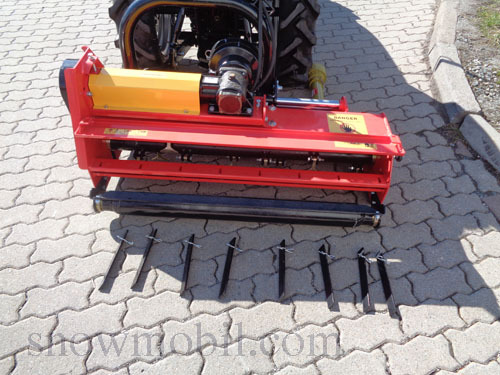 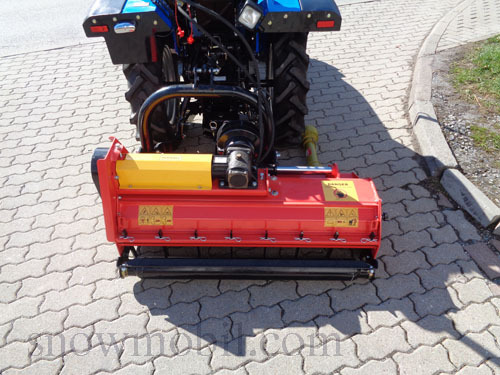 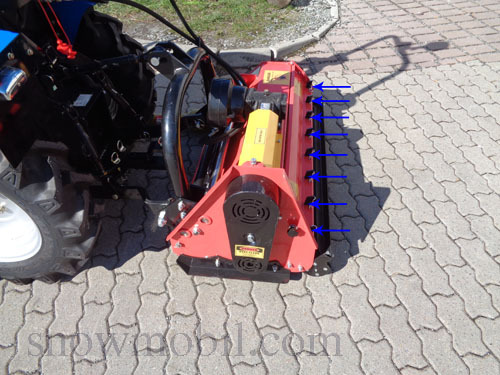 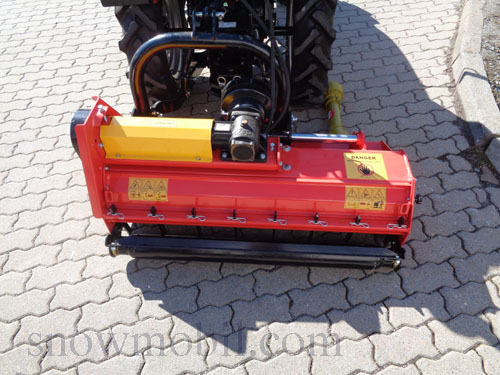 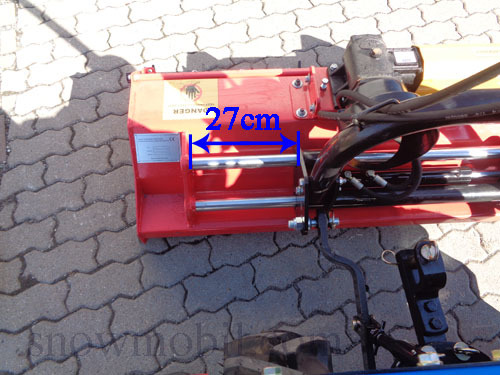 We would like to point out that according to the German accident prevention regulations, the maintenance flap must be closed during mowing in order to prevent stones from escaping, etc.